January 12, 2014 · by Zack Reyes · Post may contain affiliate links. See my disclosure policy here. 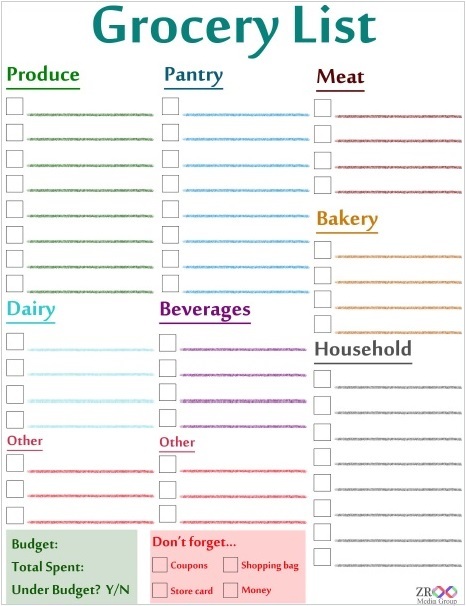 Having a printable grocery list can help you stay on track at the grocery store. Avoiding impulse buys has never been my strong suit, but when I write stuff down, it helps. I created this free printable grocery list to help you get better at grocery shopping. Get the ad, find some sales, print some coupons and write a list! This free printable grocery list looks exactly like the picture above and can be printed using the link below. 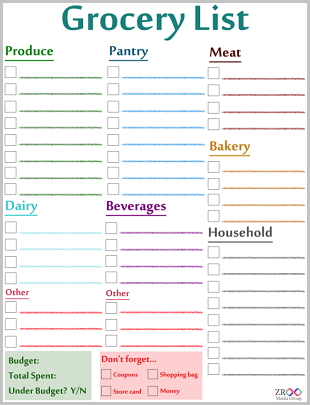 Click here to open a PDF in a new tab where you can print the free grocery list!